I was a huge little mermaid when I was a child. I still remember pictures I drew around 5-6 years old after seeing the movie, so I have a special fondness for mermaids as a mythological creature. 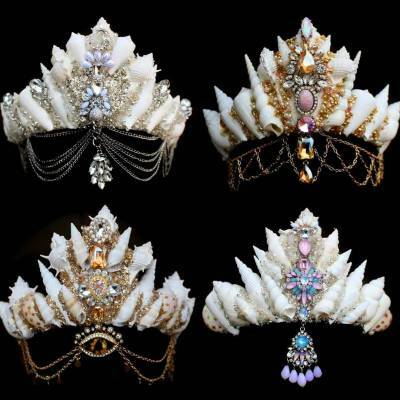 These tiaras though? 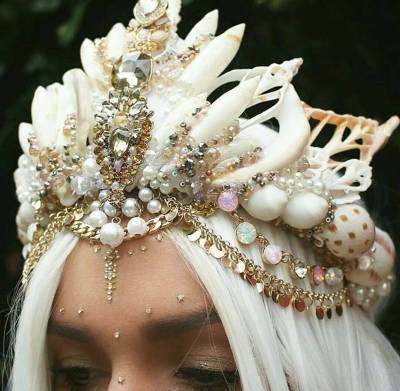 They go beyond fondness as, mermaid inspired or not, they are absolutely stunning.